Their big rigs have probably disintegrated, over the years, in the heat and dust of a Laredo landscape. 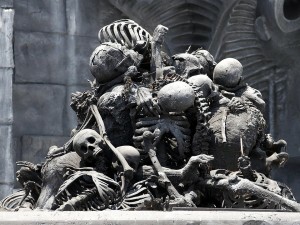 But the bones of their drivers remain. Truckers who never made it beyond the SHORT CURVE in the road. 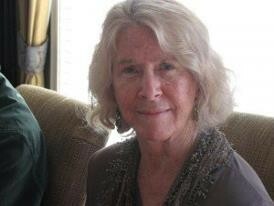 Loved ones couldn’t retrieve, for they’d gone too far down. Now, they lay, tangled, in a Truckers’Graveyard. 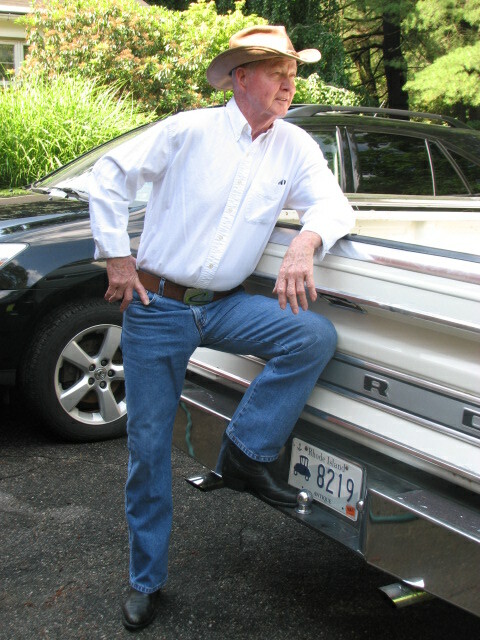 I bow my head when I pass, in my own big rig, and say a silent prayer………Trucking’s not for the faint of heart. 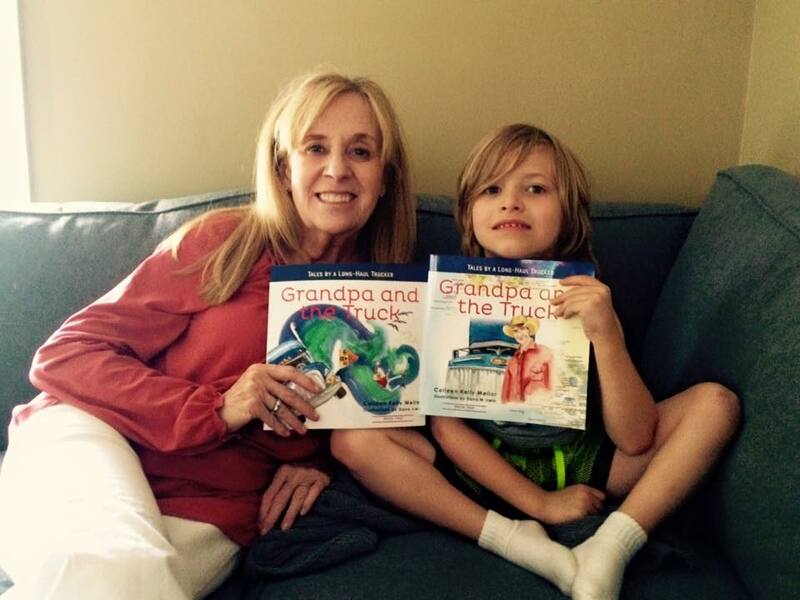 This past Saturday was our first appearance at RI Authors’ Expo…We are the first to produce the Grandpa and the Truck books (for kids 4-9), about husband’s 30-year big rig career, transporting household goods all over America. OOIDA has named us “Cool Gifts for Kids” and Women in Trucking endorses us, too. And now, schools are inviting us in, since we’re the perfect vehicle to teach geography, nature, science, math, and important life lessons. They love the fact, too, that we meet Common Core standards. This is our first entry into the book fair circuit but we’ve got lots more appearances on tap. We’re especially thrilled with the schools who are signing up to test-drive our books. Our books are perfect as gifts for the countless children’s birthdays folks need a present for…Christmas…Channukah…kwanza. If you’re a trucker, why not give a gift that tells others the important job you do, in moving ALL of America’s products? So far, no one’s done that. We aim to change that. 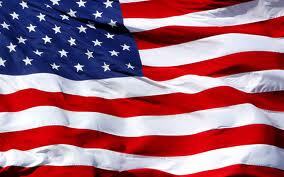 If you’re a trucker’s family, you’ll love the fact we recognize truckers as True American Folk-Heroes. Finally, your purchase will enable us to continue telling a trucker’s tales to our biggest fan base (kids), so truckers can finally get the recognition they so richly deserve. I go into the classroom again, after a break of some years, but just like bike-riding, it all comes back. Wow! That was fun! 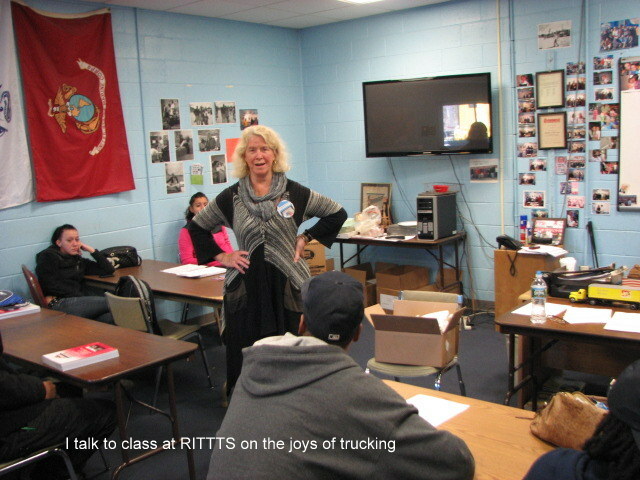 Went to Rhode Island Tractor Trailer Training School Thursday and spoke before the class of new recruits, about 25 young men and two women. 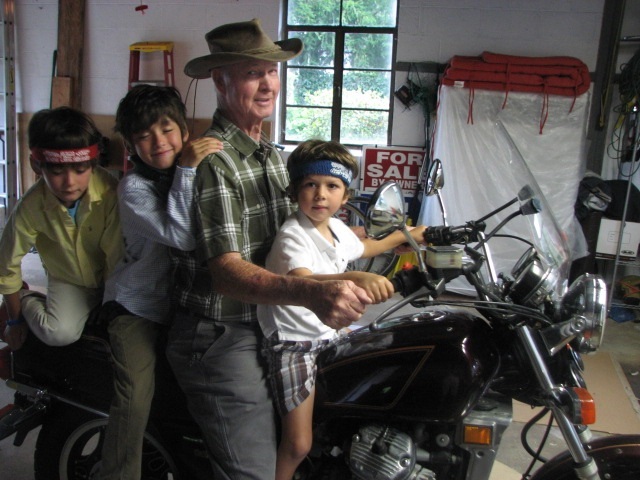 This retired, 30-year schoolteacher found it thrilling. Back in the saddle, so to speak. 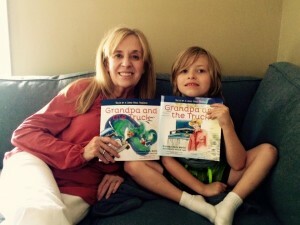 Told them all about what drove husband and I to write the Grandpa and the Truck stories…how we wanted to share the stories with little ones everywhere..how a trucker’s experiences are too wonderful a treasure trove to ignore. Told them they’ll be the future heroes and heroines on the road…the ones little kids will wave to and thrill at. That fact brought forth smiles, as they doubltess remembered their own occasions of seeing their first big rigs and their drivers. I left them with the idea they have big shoes to fill, those of the honorable men and women who drove the big rigs on the nation’s roads before them. Let them know many of us recognize the most important job they do, bringing America’s products to market, against often-impossible odds. When we were done, a young man (former Iraq vet) jumped up to help us carry our box of materials out. I gotta say: I was moved by his help. 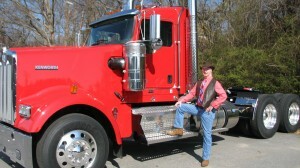 I’ll do a story on him (for this site), for he’s the kind of trucker I want to see on the road. He’s had multiple life experiences (in National Guard as E-5); he’s trucked before; but now he’s getting his license in Rhode Island. Yes, I found the day exhilarating….I know: I’m going to like my new gig as teller of the tales of truckers and their big rigs.